It had an okay paint job when I got it… only a few drippies here and there but the top was peeling off and not the color she wanted. So I stripped her down. And then the fun began.. I got to use the new La Craie Wrought Iron and lots of distressing and wax. Just two simple words, but with a huge impact in the market. La Craie is in demand. And we are sure, this is all just the beginning. Especially when consumers begin to understand the difference between the real stuff and the fake…s. We are from the generation when teachers wrote on blackboards to get their message across. We then actually learned that 1 plus 1 is 2 (nowadays they tell you that it all depends on how you want the outcome to be). They wrote with a white piece of chalk and some of them managed to write a blackboard full in no time, telling us to keep up. And then it happened. 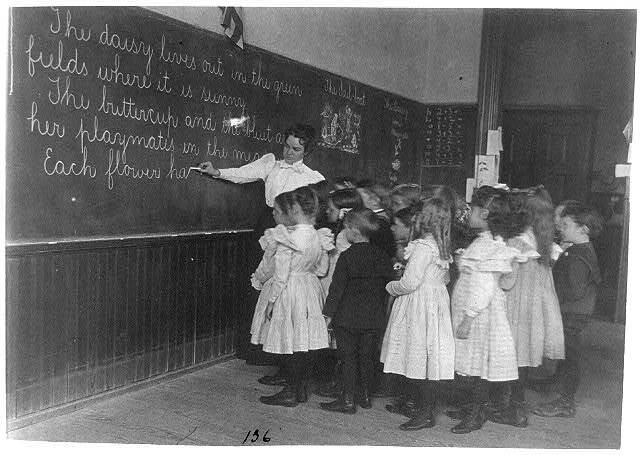 The teacher took a wet cloth, wiped the blackboard clean and started her second teaching offensive. When we started moaning because we couldn’t read her transfer of knowledge, she used to say “be patient, this is chalk and it becomes readable when the board dries”. And it did. And here’s it all about. Chalk becomes visible when the (sub)surface has dried. This is caused by the light breaking index. Light reflects on a wet surface heavier than on the chalk itself and that is why there is a difference between “wet” and “dry” coverage of La Craie. When this happens, you know you are actually working with the real stuff. La Craie is 100 % natural paint. We do not add chemical drying catalysts (so called “super-dryers”) because the paint will then dry too fast leaving those nasty chalk balls. When you notice the first coat looks more transparent than colored, don’t worry. It is there, but you don’t see it (yet). Think about the teachers from the past and let it dry for 30 minutes. When your first coat has dried completely, start your second coat (with the same color or play around with other colors or different techniques) and you will be amazed by the results. Yes, you are painting with the real stuff. thanks for stopping by… come back again!! & don’t be shy leave a comment!! Just recently heard of this paint. What if any are the differences from Annie Sloan Chalk Paint? I do love the colors, especially that there is a black, wrought iron. Is this a true black? Can this paint be finished in with any water based poly or is it wax only? Can’t wait to hear and learn more about this product, also like that waxes are available in several choices. Did you dry brush the Wrought Iron on or did you give it a full coat of the black and then just wet distressed it? I want to do the same technique on a piece of furniture but not sure how you achieved it. I did wet distress on the legs of this table Gena. On the top I painted it on almost full and then sanded away more. Has anyone re done kitchen cabinets using this paint. If so so it hold up to the abuse cabinets get? There is a kitchen that was done in French Blue- I have it posted in my wall photos on facebook. I believe his name was Rick. It was an amazing job!! The paint itself would be perfect in/on kitchen cabinets. I would just recommend sealing with a polyacrylic that has more of a barrier with everyday cleaning and touches! !